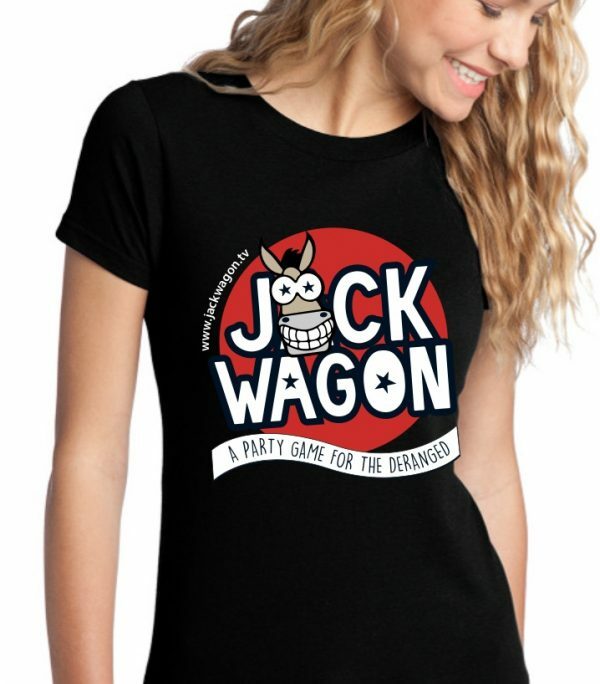 This tee rocks with comfortable softness, smooth lines, and a tear-away tag. 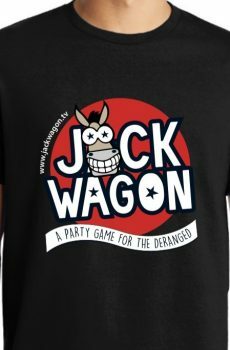 Weight: 4.5-ounces, shipping weight 8-10 ounces. 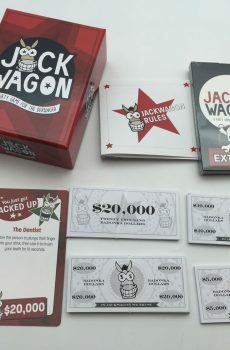 Two copies of Jackwagon, A party game for the deranged, with the Extreme Expansion pack included with each game. 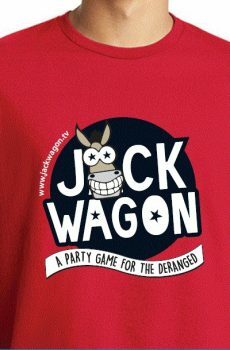 ***The image above is a partial game sample only. 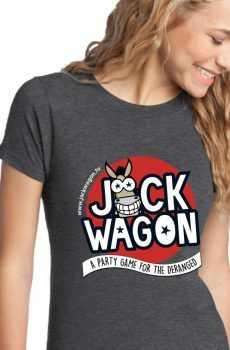 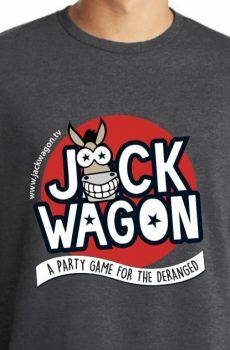 One copy of Jackwagon, A party game for the deranged, with the Extreme Expansion Pack included!